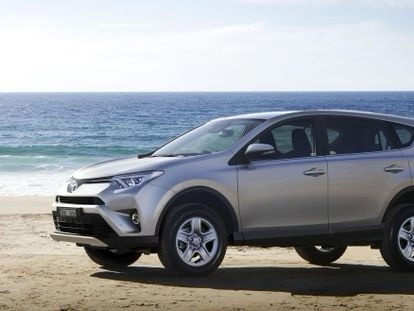 Whether you are looking for the safety and reliability of a new Toyota sedan or hatchback or the strength and versatility of a new Toyota SUV or 4WD, Chadstone Toyota has all your Toyota needs covered. Our knowledgeable team can help you choose from Toyota’s great range of small, medium and family vehicles and showcase their focus on fuel economy, style, comfort and performance. To complete your Toyota purchase, Chadstone Toyota has a range of Car Finance and insurance solutions to get you behind the wheel sooner. Backed by a 3 year/100,000km Toyota warranty, feel confident driving away from our Oakleigh Toyota dealership knowing that your vehicle is covered. For more information about buying and owning a brand new Toyota, Contact Us to speak with a member of staff today.